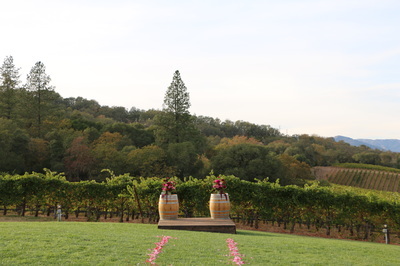 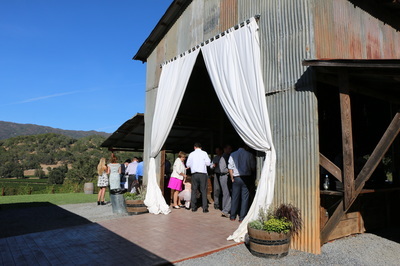 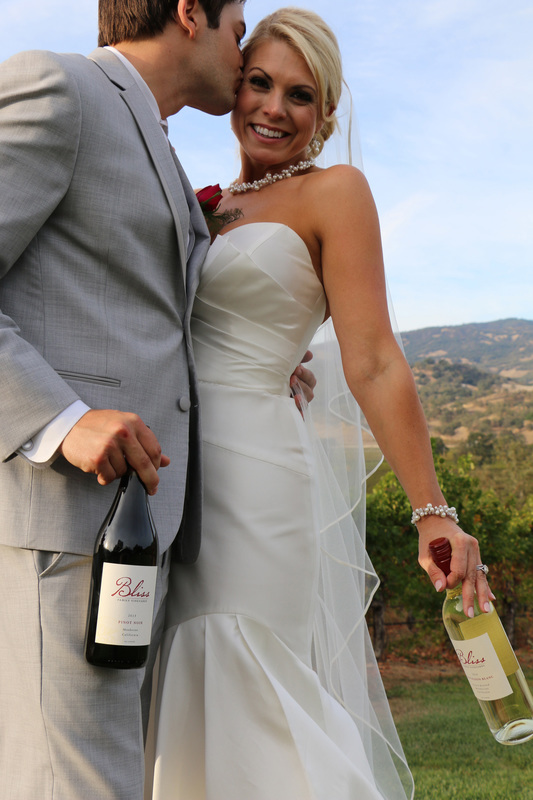 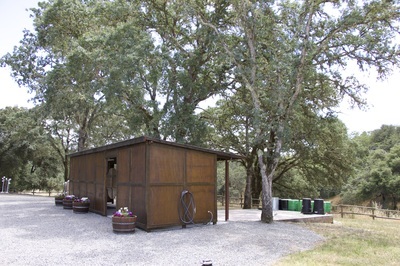 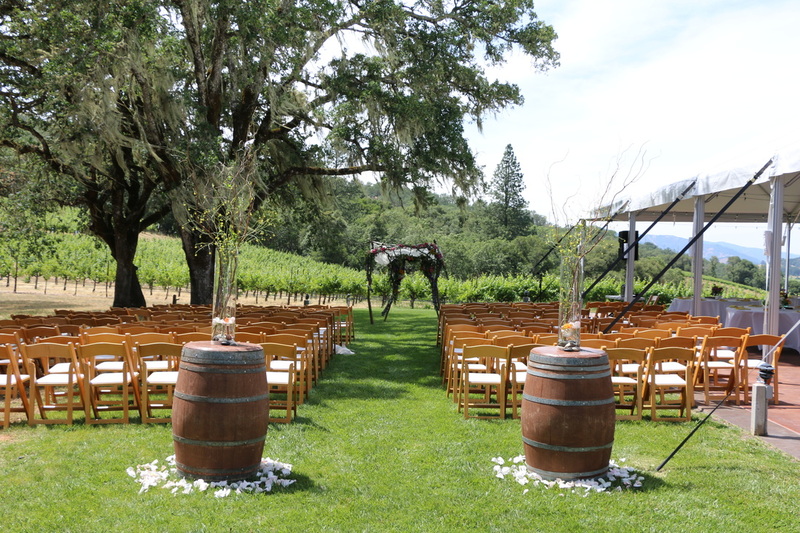 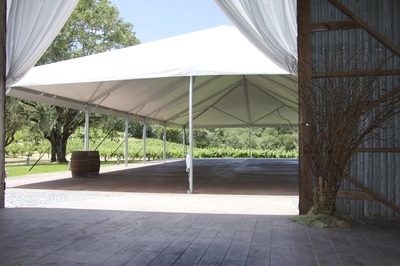 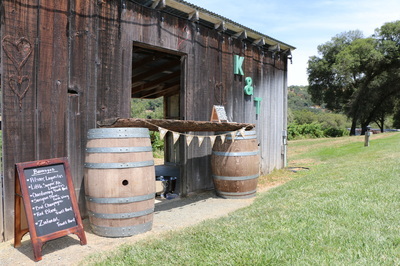 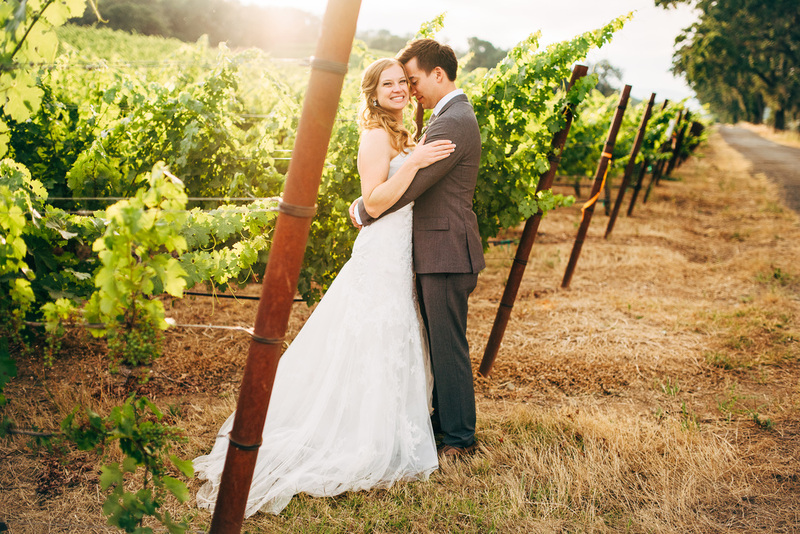 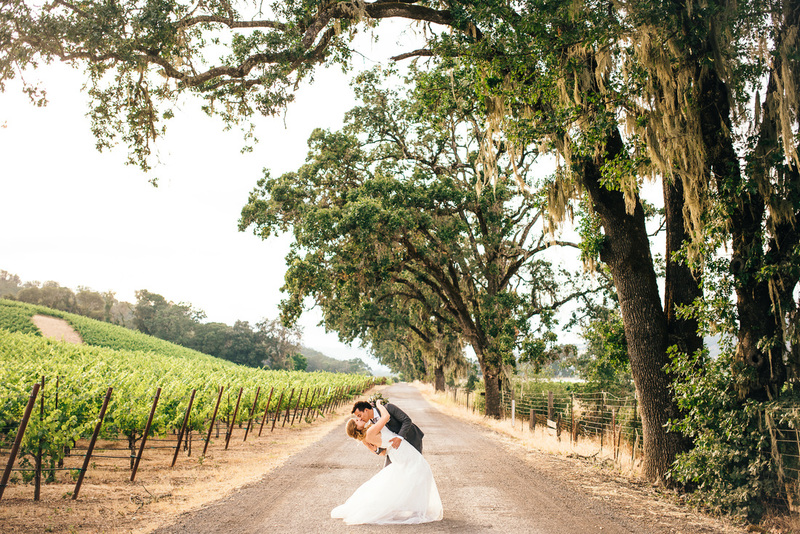 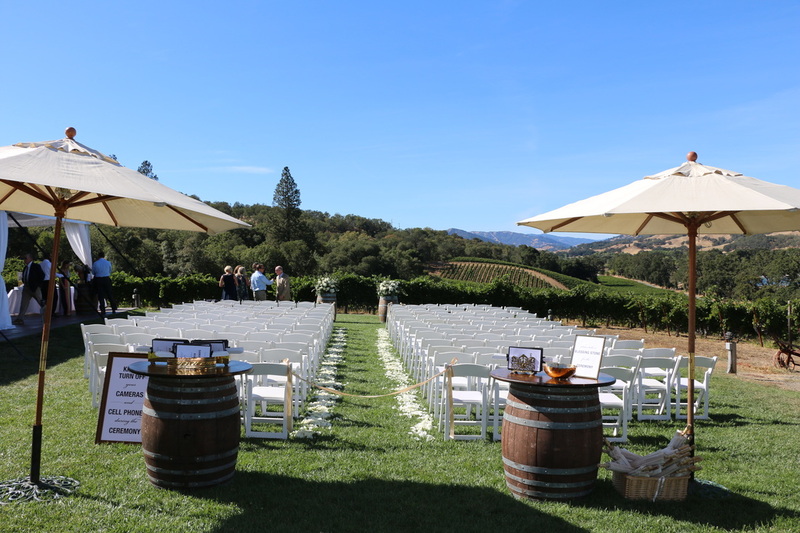 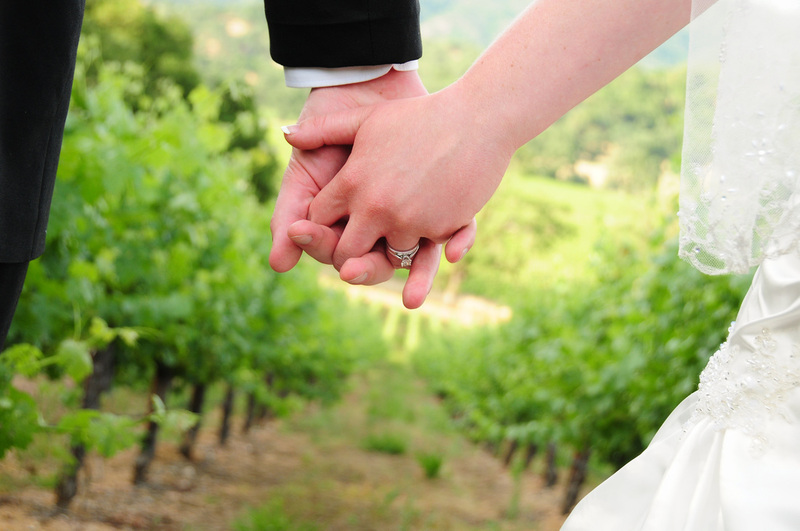 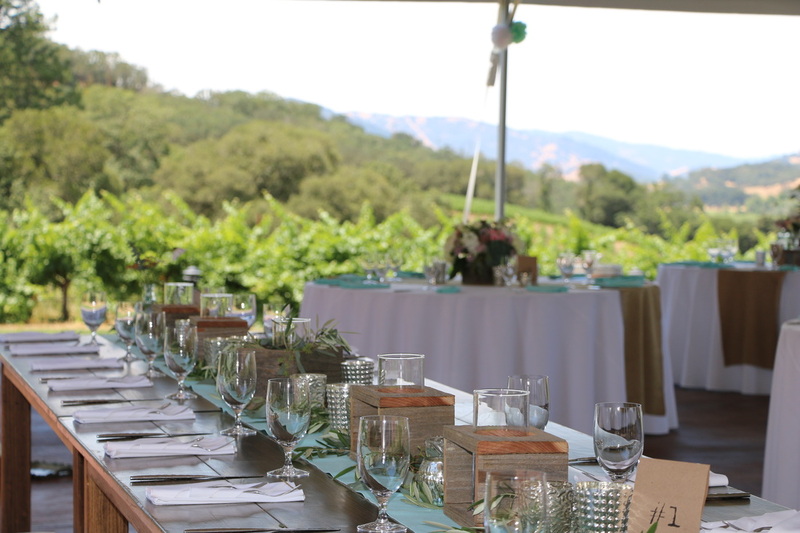 Our newest venue is nestled in the heart of our aptly named "Contento Vineyard". 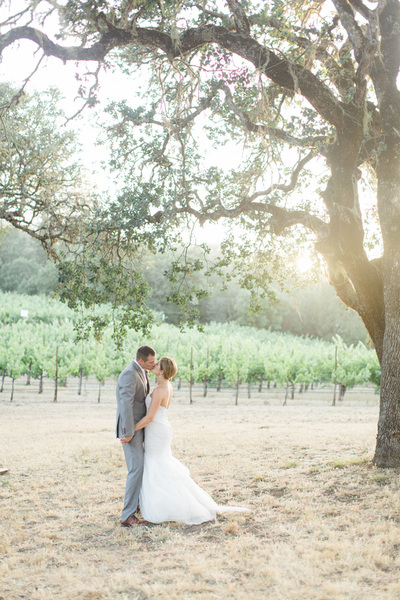 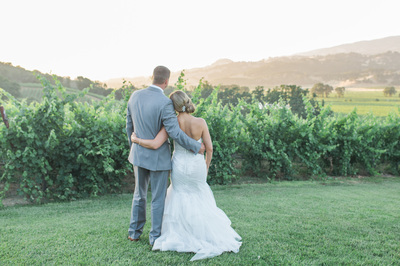 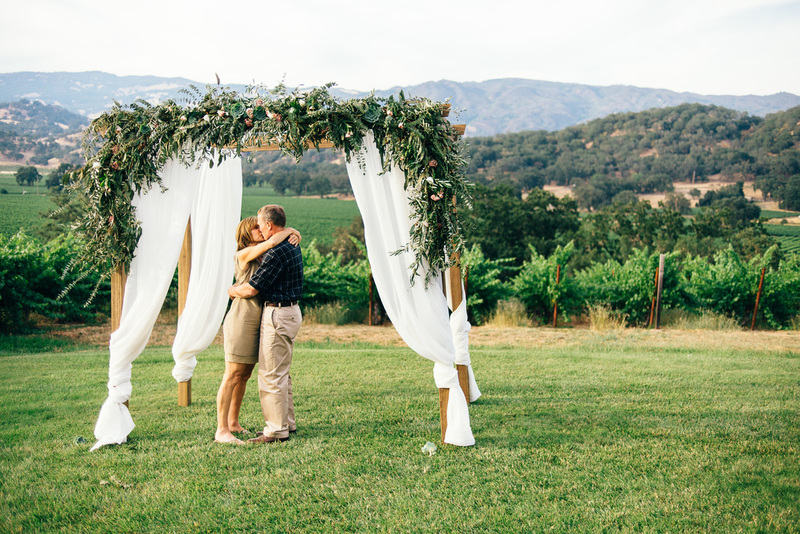 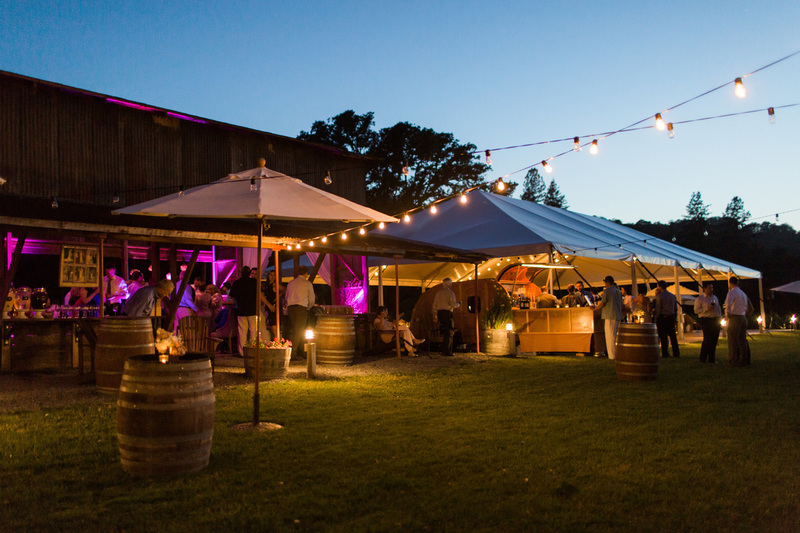 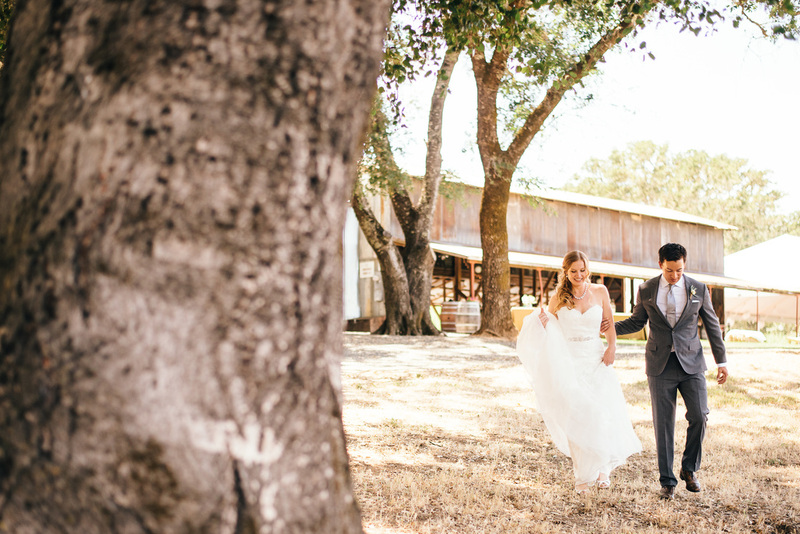 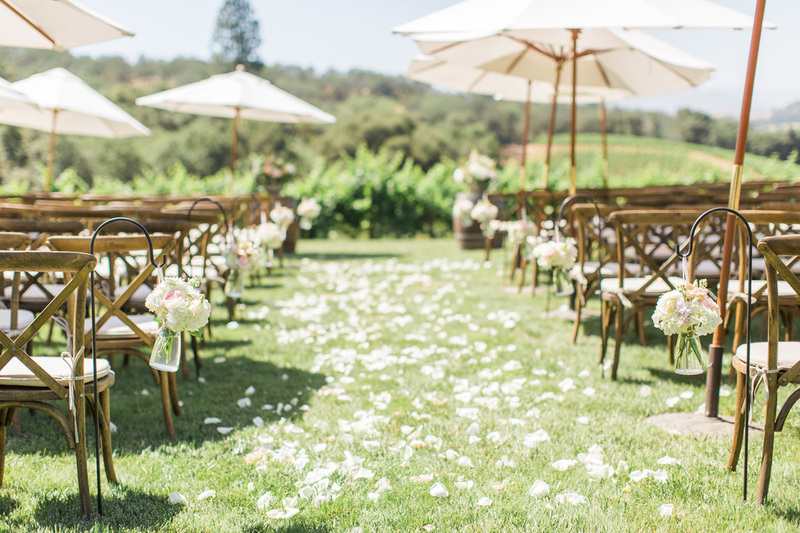 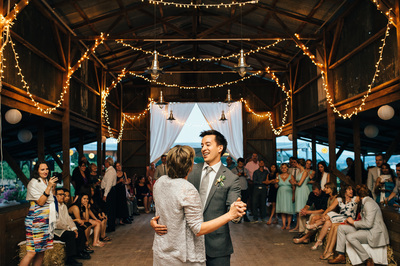 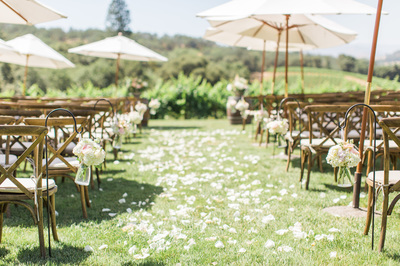 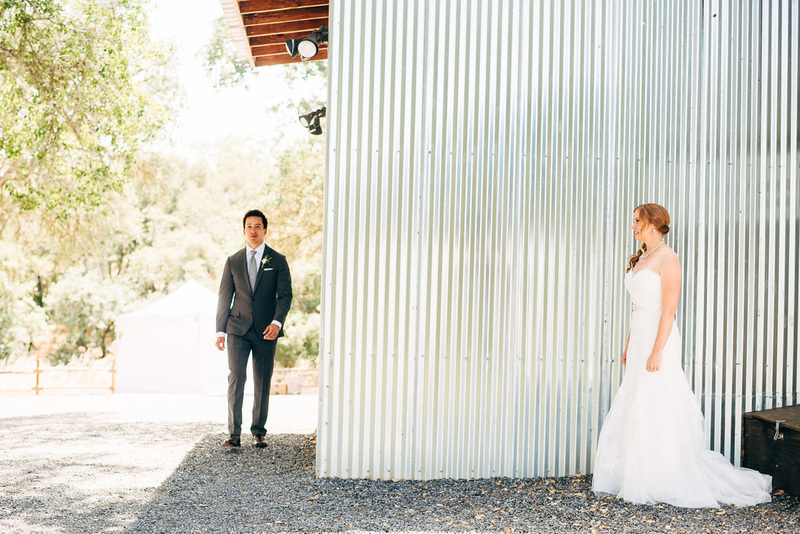 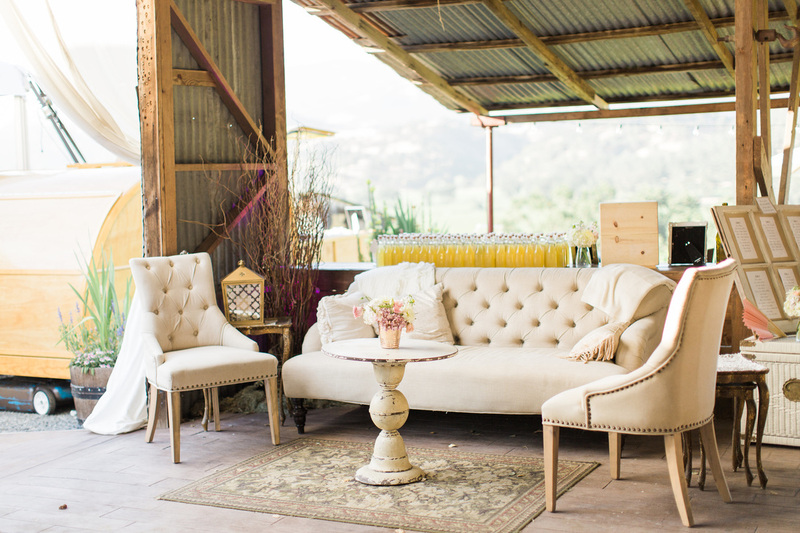 Just minutes from downtown Hopland, this venue has it all. Our Contento site is located on a private plateau surrounded by lush vines and majestic views. 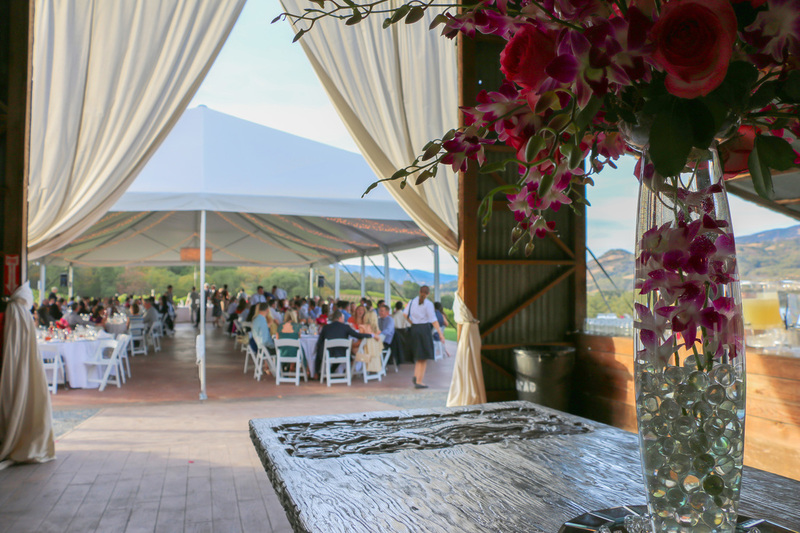 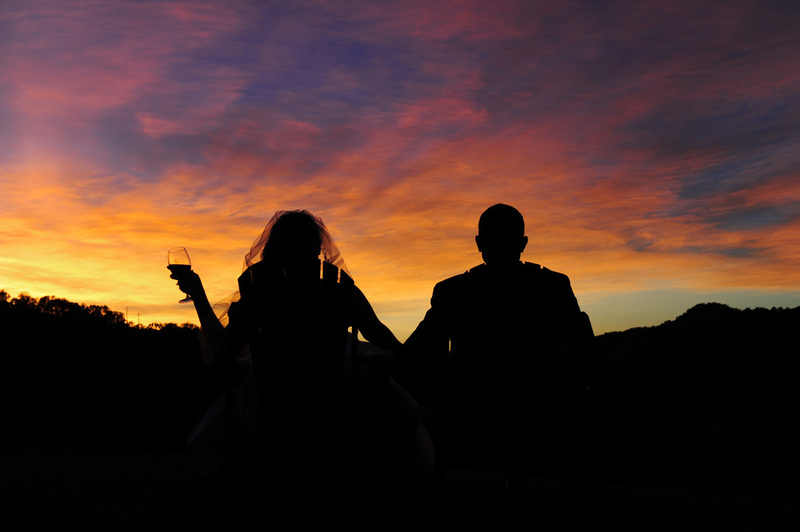 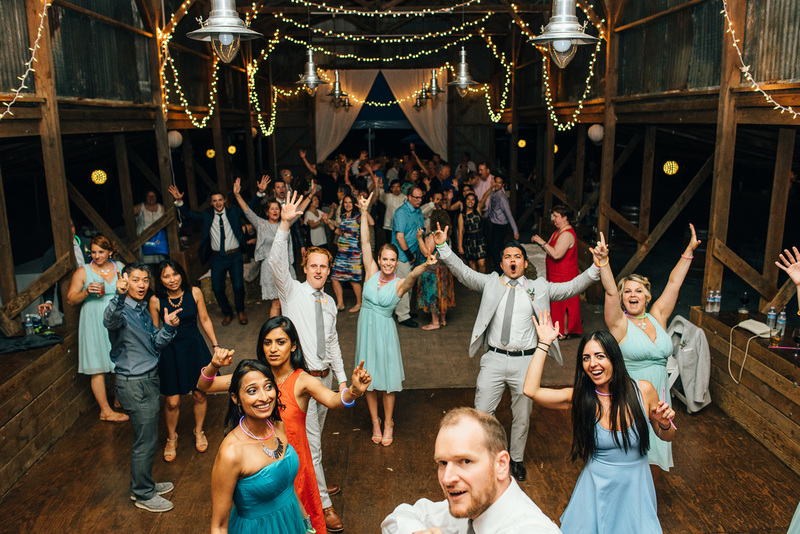 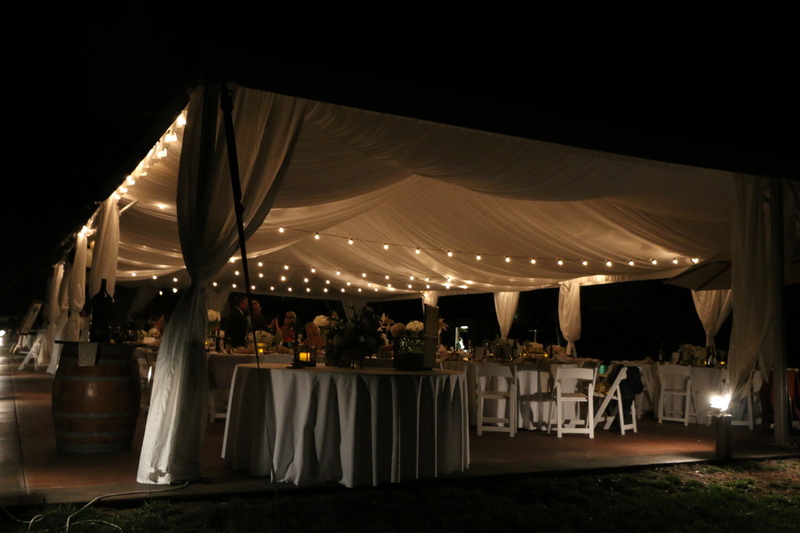 This site has several areas to choose from for you to exchange vows and plenty of room to celebrate and party the night away. 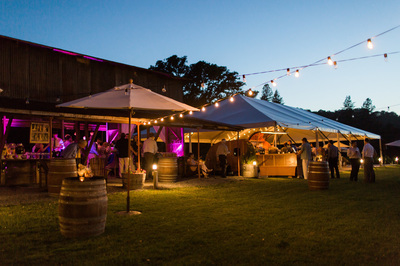 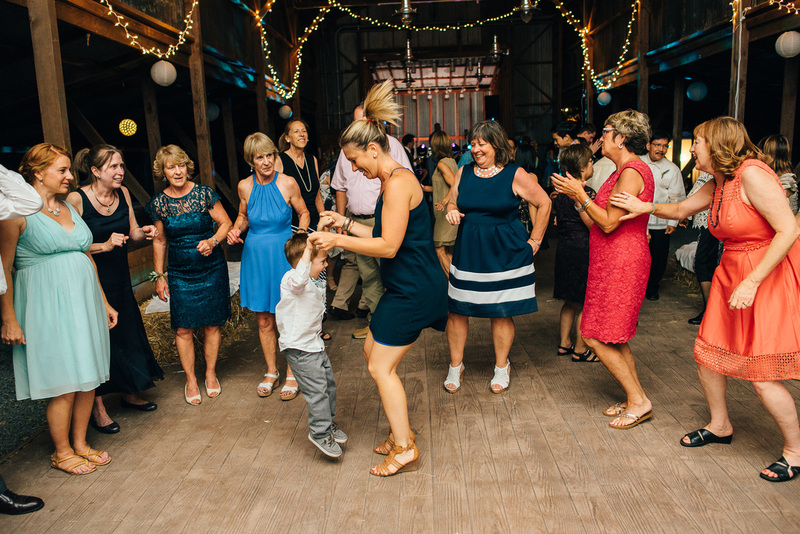 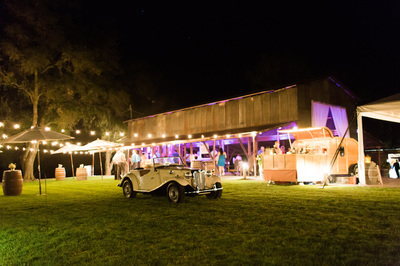 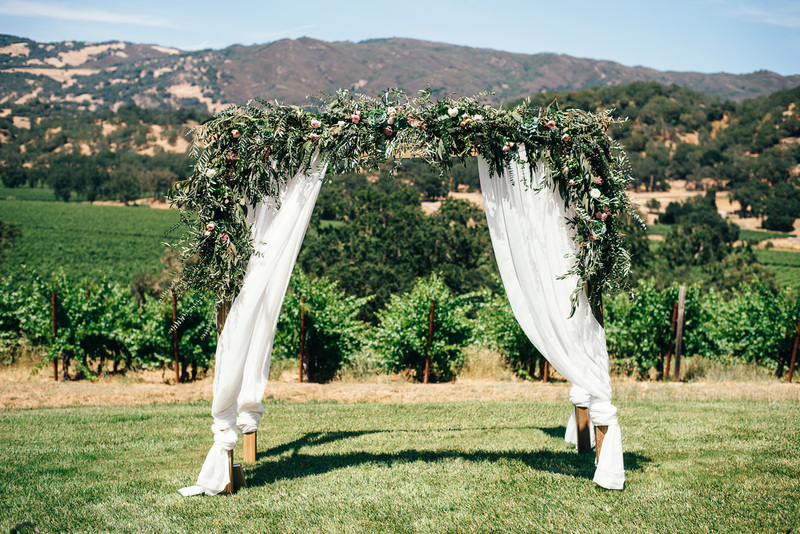 The site includes a 40' x 80' rustic party barn with an adjoining open air tent that can accommodate up to 200 guests, all surrounded by grassy lawns, just steps from the lush vines. You get the entire site for three full days (Friday through Sunday), so there is plenty of time for stress free setup and cleanup so you can party the night away ! 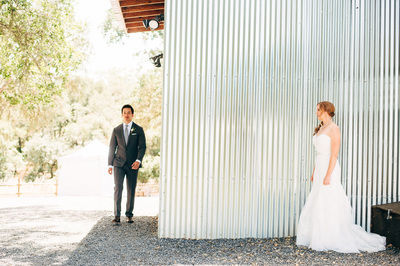 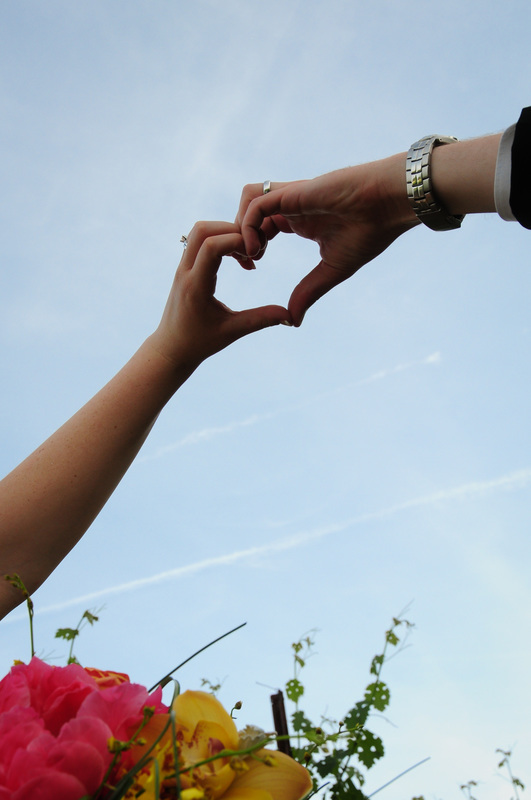 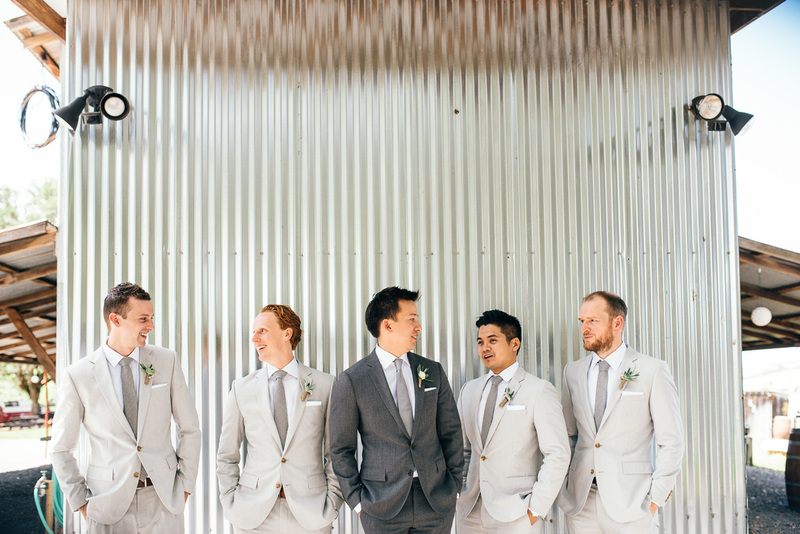 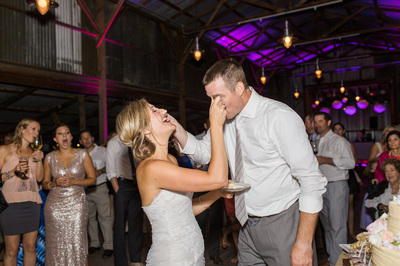 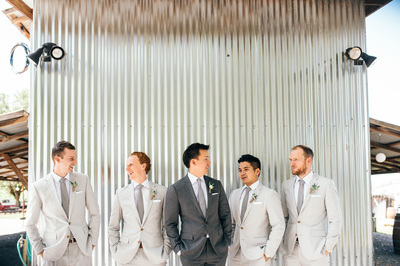 Check out our featured bride on Style Me Pretty!